BMW introduced 1 Series in 2004. 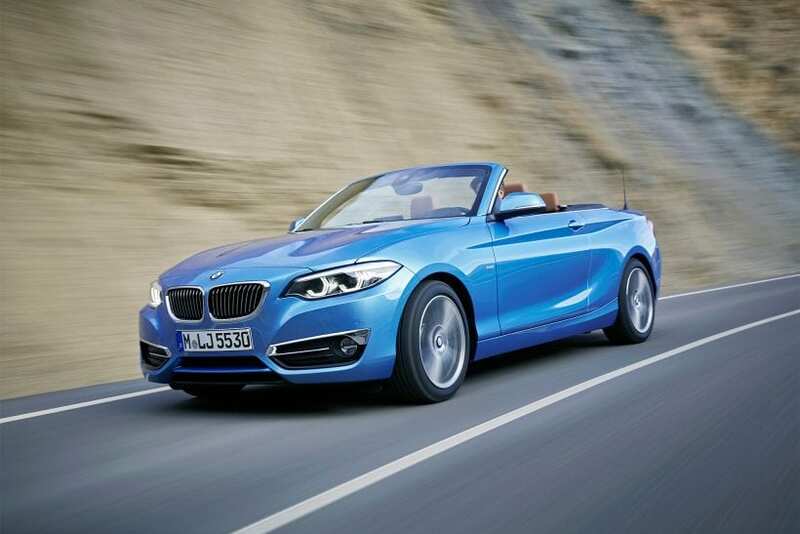 Three years later the offer was widened with coupe and convertible which managed to get enough fame to spin-off a separate line when the second generation of 1 Series debuted. Dubbed as 2 Series, besides own name it received unique styling approach for its fascia this time. It has been three years since current models debuted and it is time for some gentle nip and tuck. Let’s see what 2018 BMW 2 Series brings to the table. No big changes, just slight revisions intended to keep 2 Series in line with the rest of the latest lineup. In the first place that includes new headlights layout with open and more angular lenses, something that we see in all newest models from the German company. Tail lights also saw some configuration revision, and now these come in LED format as standard. Grille became wider giving more expression to the front fascia, and we have new alloys, which concludes exterior changes. At first, you may not see any differences in the interior, but they do exist, and these are pretty big, at least in terms of BMW’s way of doing refreshes. The instrument panel is revised, and we have new, evidently larger, 8.8-inch infotainment touchscreen. Yes, you read it right, we indeed wrote touchscreen, since from recently BMW started making its screens touch sensitive, which seemed sacrilegious between German premium three so far. 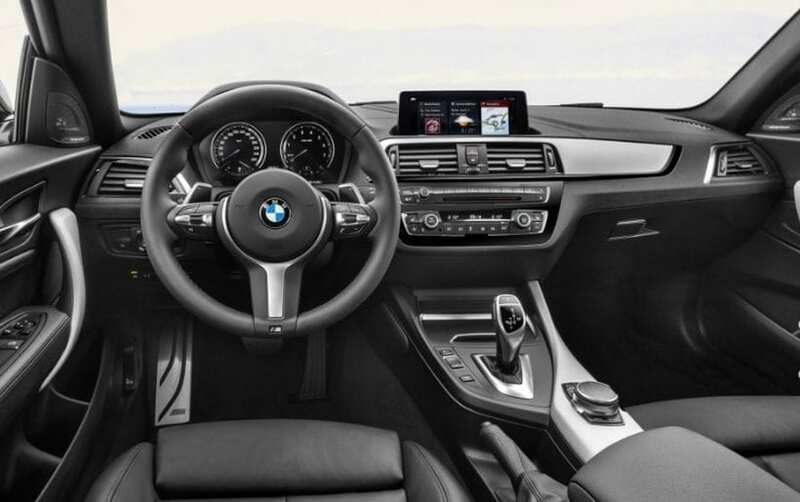 Interestingly, BMW changed the whole shape of the dash when an area in front of the passenger is in question, which it does almost never when mid-life changes are concerned. Cascade shape of the dash is gone, and there is new thick trim accent going around center vents and stretching across the right side of the dash. Glove box door is also revised, while the whole look is less interesting but cleaner and more elegant plus it seems that it leaves more space for passenger’s knees. Nothing changes in the engine area. 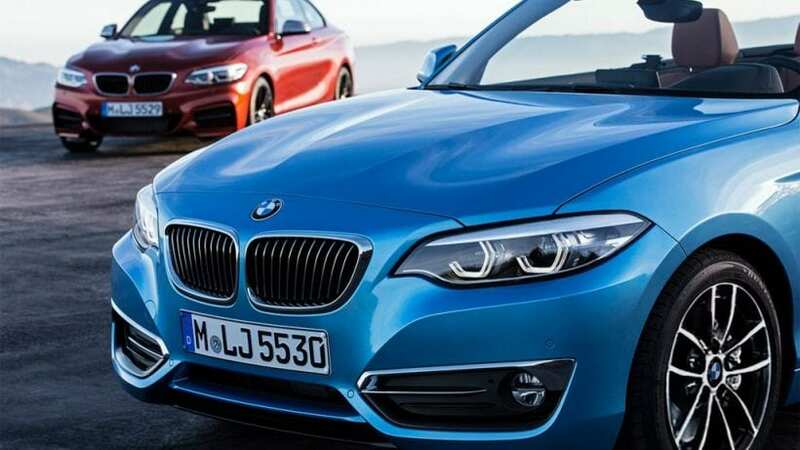 In the US, the 230i model still leans on 2.0-liter turbocharged I4 delivering 248 hp, while more potent M240i hides 3.0-liter turbocharged I6 under the hood with 335 hp. In Europe, as usual, things start with rather mild 136 hp and traditionally diesel offer is rich ranging from 148 hp to 221 hp. M2 stays at the top, no matter the continent, with mentioned inline six, but in its case, it boosts 370 hp. Transmission is 6-speed manual or 8-speed automatic, while M2 utilize 7-speed dual clutch unit. All power goes to the rear wheels, while xDrive is optional. Very often we make the last subtitle saying “should you” and try to explain is that particular model is worth of serious consideration among its rivals. In the case of 2018 BMW 2 Series, that type of subtitle would be a gross understatement, so this one fits much better. Next generation of 2 Series is about to use new platform losing rear-wheel drive and inline six in M and M Performance models. 1 Series coupe and later 2 Series were unanimously accepted as best driver’s BMW and actually last ones that reflect great Beemer’s handling roots. When it leaves the lineup, if Munich doesn’t change something drastically with its coupe and sedan lineup, whole fame about “ultimate driving machines” could be freely forgotten. Also when 2 Series goes mainstream, you don’t have anything else to turn to within its compact segment, as nothing was so hot to propel rear wheels and stuff inline six under the small hood. If you have any respect towards BMW‘s glorious dynamic past, it’s now or never. The price tag of $33k might not be so attractive, but at least it could easily put a smile on your face, and we are not sure whether it will be able to do that in the future.